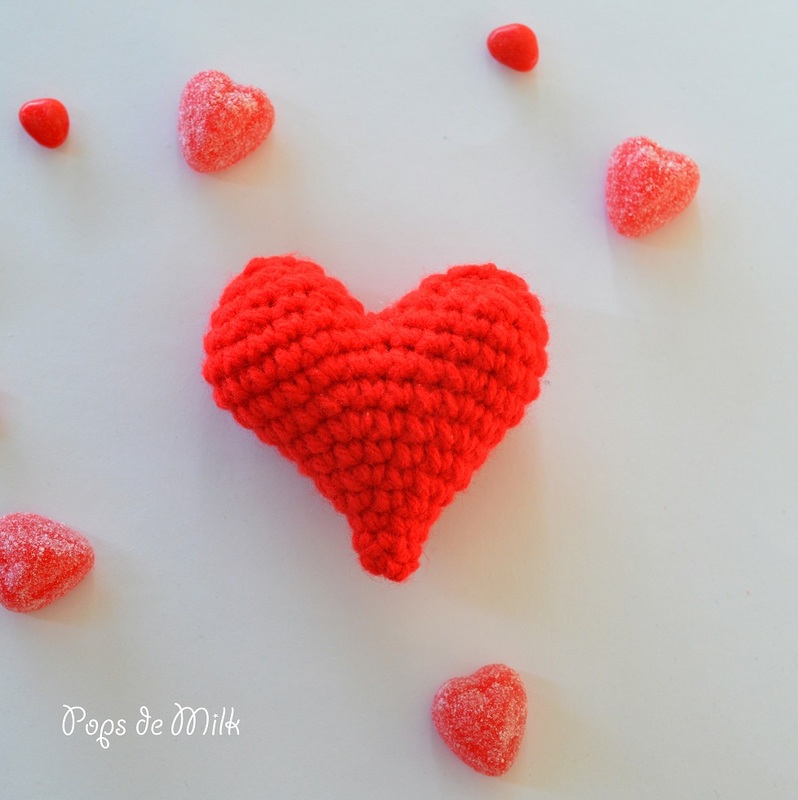 With Valentine’s Day just around the corner I thought I’d get into the lovey dovey mood and make a cute little crochet heart. 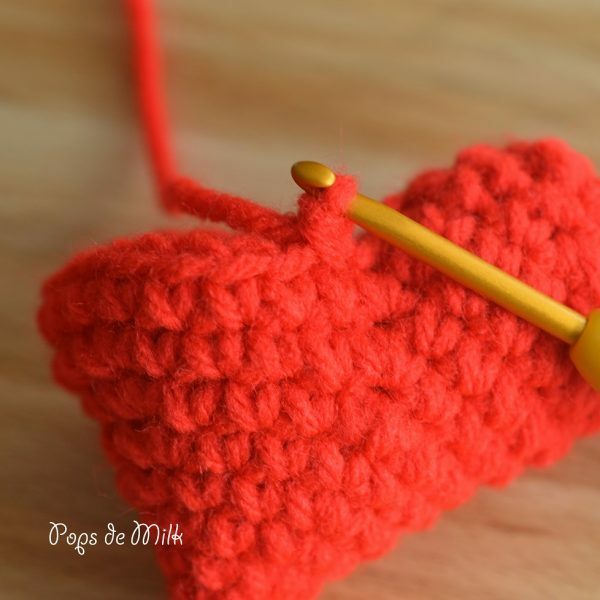 This pattern is for a plushie heart that you can leave plain or dress up as you like – maybe add a cute amigurumi face or embroider a sweet love note! 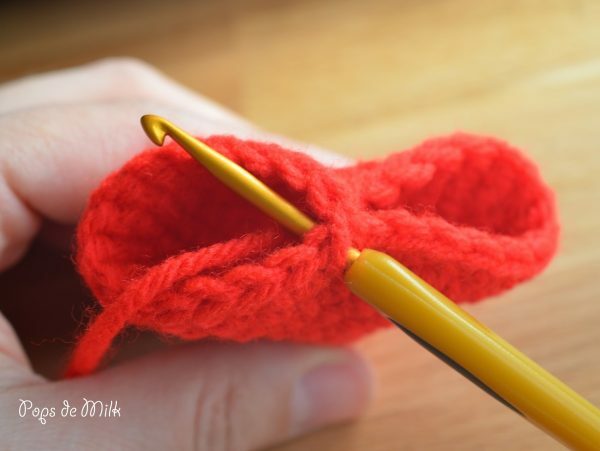 This pattern is worked in continuous rounds, do not join or turn at the end of each round. 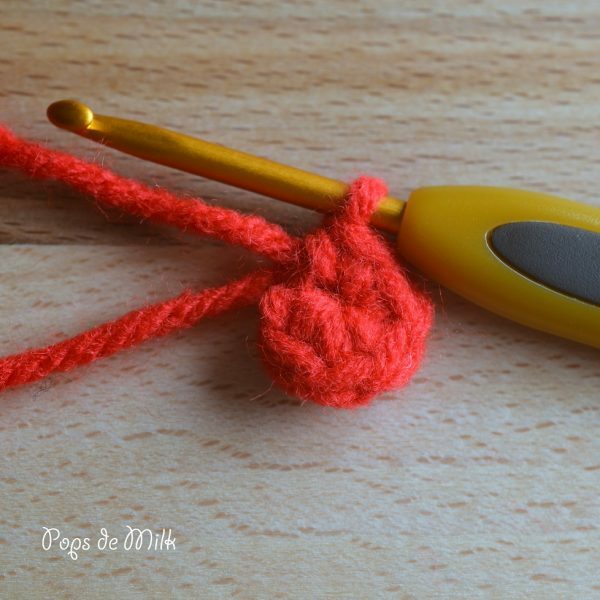 Use stitch marker to keep track of beginning/end of rounds. Round 1: make 5 sc in magic ring OR ch 2 and make 5 sc in 2nd ch from hook. Fasten off and sew opening shut. Begin to stuff heart with filling. Repeat rounds 12-14. Fasten off and sew opening shut. 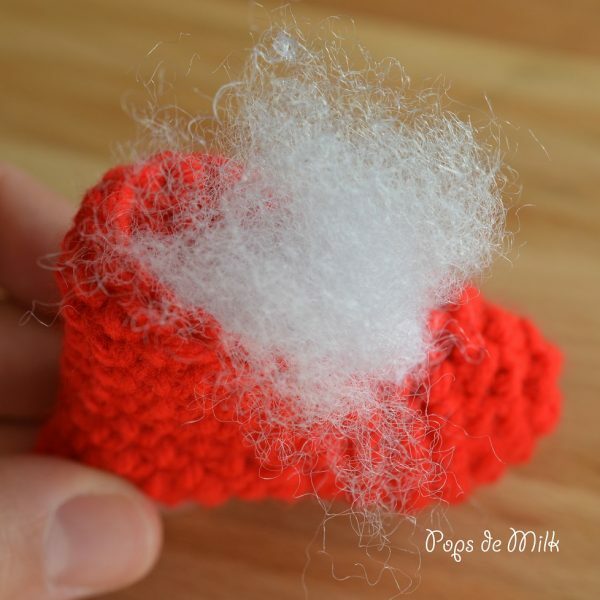 If there is a little gap in the centre just use a bit of scrap yarn to sew it together. 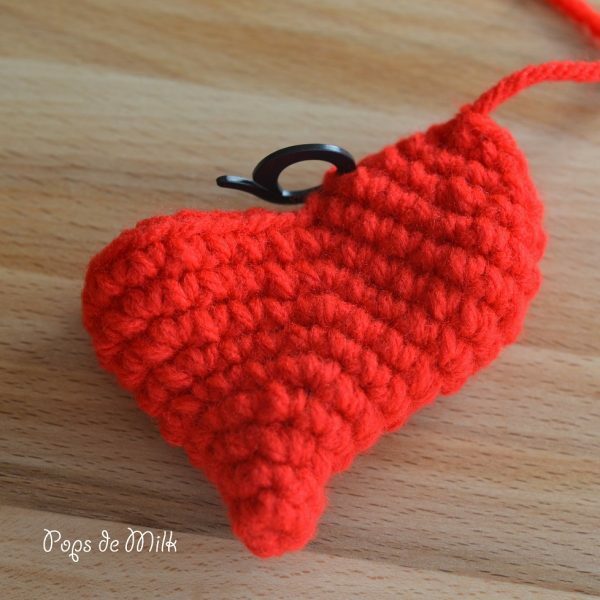 And that’s how you make a cute little crochet heart to give away to someone special. Or keep it and show yourself some love! 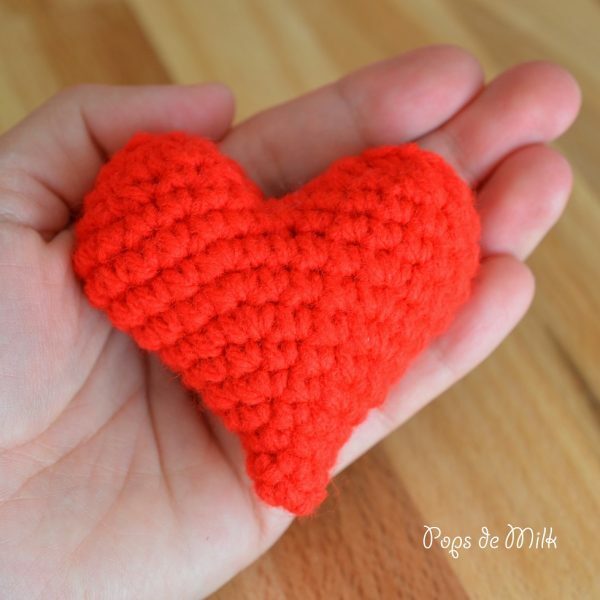 your facebook link gives a page not found error http://www.popsdemilk.com/crochet-heart/%3Ca%20href= I love the heart it is beautiful! Thanks Dawn! Not sure why the link didn’t work but thanks for letting me know. Cute! 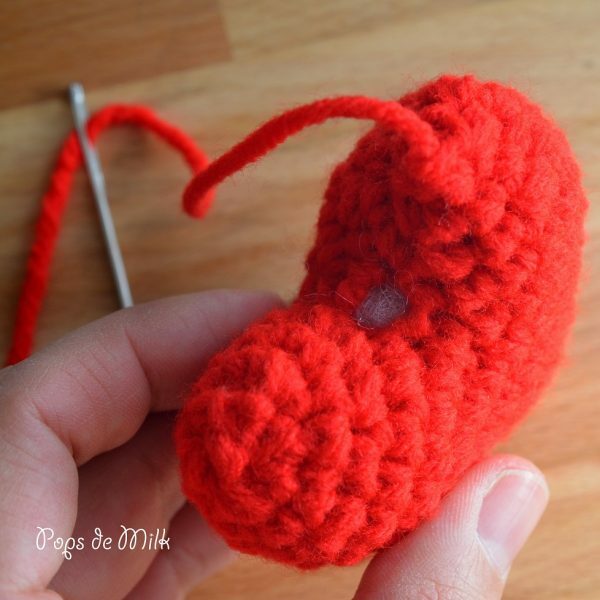 This would be a nice way to use up scrap yarn AND try my hand at amigurumi without too much complicated stuff. Thanks for sharing.